This post is sponsored by Only Natural Pet® and the BlogPaws Professional Pet Blogger Network. I am being compensated for helping spread the word about the NEW Canine PowerStew™, but Dog Mom Days only shares information we feel is relevant to our readers. Only Natural Pet is not responsible for the content of this article. Pet parents are always looking for natural, healthy food for their dogs. 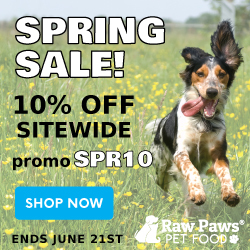 With the pet industry rapidly expanding, it’s hard to keep up with all of the great brands that offer a selection of delicious foods your dog will love. Only Natural Pet now offers Canine PowerStew™, which your fur kids will surely devour! I’ve used Only Natural Pet products in the past, so I was excited for Wynston and Khloee to taste test this new canned food. I’m always looking for fantastic food options to share with my friends and readers, and Canine PowerStew is definitely a great choice. What makes Canine PowerStew so great?! It is grain free, natural dog food that is holistically formulated. It’s an excellent food option if your dog has allergies – Canine PowerStew is allergy friendly! Filled with high quality, protein rich meat and healthy vegetables. The food is a chunky stew style so your dog is getting a flavorful, healthy meal. You can feed PowerStew as a stand alone meal, or mix it in to your dog’s dry food. Only Natural Pet Canine PowerStew comes in three appetizing flavors: turkey & duck feast, beef & lamb feast and chicken & liver feast. The first one Khloee and Wynston tried was turkey & duck feast (shown in the photo below). Every night we have the dogs sit and stay before they can eat their meals. Well, this one was so tempting that they both made a break for it before we released them! Oh my goodness, it just smelled too delicious! After properly releasing Khloee and Wyn for their meal, the PowerStew in their bowls was gone within 30 seconds. This dog food looks like it could be a human stew! It definitely doesn’t smell that way, but the dogs love it and that’s what matters. Even my cat Sadie wanted a lick. Khloee and Wynston loved every flavor of the PowerStew equally – or at least I think so since each meal was eaten so quickly! They got to try Only Natural Pet PowerStew as their dinner meal. I feed the dogs on a schedule (once in the morning, once in the evening) and you can bet that they preferred their evening meal! What’s nice about this food is that you can feed it as a stand alone meal, or as a topper for your dog’s kibble. If you’re looking for a canned food for your dogs that is healthy, natural and grain-free, Only Natural Pet PowerStew is an excellent choice. You can buy it exclusively on onlynaturalpet.com starting this month! Be sure to also check out Only Natural Pet on Facebook, as you can find out more about the natural, organic, and eco-friendly supplies that they offer. It looks like a hit! Our crew can’t wait for their chance to dive into this too! Looks like our Wyatt isn’t the only one who will go nuts over this! We agree, the quality of what’s inside the can is pretty darn amazing. Good stuff in a can? Never thought we’d see that day. Yay ONP! Same with us! Typically we aren’t into canned pet foods because they don’t seem high quality. This food definitely breaks stereotypes! I often have to have to tell Molly repeatedly to finish her dinner, but she licked her bowl clean in record time with he PowerStew on top! We love ONP products and are so glad to see they have another hit on their hands. We are too! My kids are crazy for this new stew!